Baked Chicken Wings In Honey Sauce Sprinkled With Sesame Seeds. Foto Royalty Free, Gravuras, Imagens E Banco De Fotografias. Image 46276906. 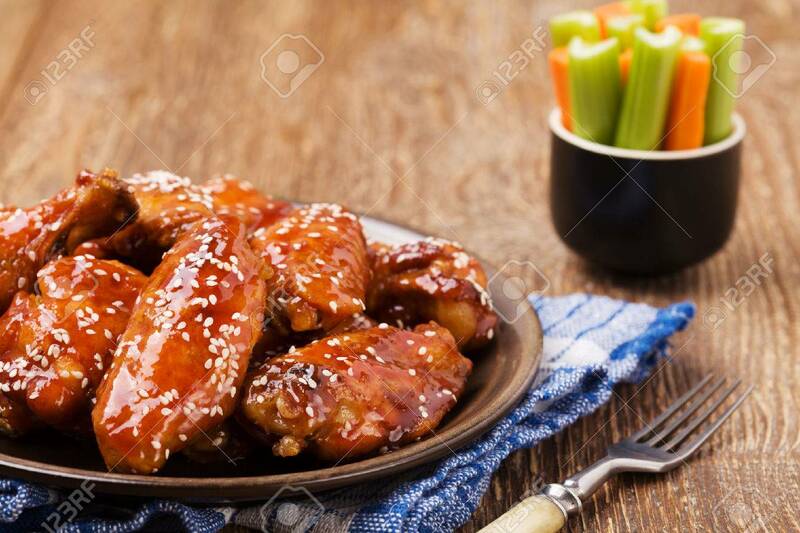 Banco de Imagens - Baked chicken wings in honey sauce sprinkled with sesame seeds.